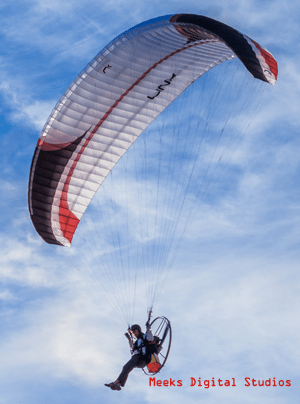 Byron and Ryan team up on their Scout paramotors and Niviuk Kougar2 wings to embark on the worlds toughest air race… The Icarus Trophy. Starting near Mt. Rainier, WA we flew nearly 700 miles unsupported in storm fronts, rain, and blue skies all the way to central California. To complete the race unsupported, we had to carry our belongings with us. Tent, sleeping bag, navigation system, water, food, oil, batteries… which made it quite the adventure. The terrain we got to see — simply amazing! While passing on the west side of Portland, the cloud layer off the coast swelled up and we dodged around to stay in view of the ground below us and out of the clouds and surrounding air traffic. For the sake of a cool shot I turned the camera toward the clouds for a few shots, then back to business. This video is only a collection of the shots I felt comfortable taking while so many more thrilling events on our trip might have been a little too hairy to get the camera out for.